In the Press - Art of Jewelry by Joel McFadden. ​MJSA has appointed Joel McFadden as director of the MJSA Council of Custom Jewelers. An award-winning custom jeweler based in Red Bank, New Jersey, McFadden has been a frequent presenter at industry conferences and events, as well as a contributor to industry publications (including the monthly MJSA Journal). He’s particularly passionate about sharing his expertise in setting, finishing, and other bench techniques: He’s been a regular presenter at MJSA’s At the Bench Live demonstrations (most recently during the MJSA Expo in New York City), and he and Tira Mitchell of Engraver.com have started an online training program called "Precision Bench." In recognition of his educational efforts, the Council of Custom Jewelers last year named him its first-ever Mentor Jeweler. "Joel is a passionate member of the jewelry-making community, and as someone who has spent his career both sitting at a jewelry bench and energizing the jewelry trade, he is uniquely connected to jewelers from all over the country," says council chair Lee Krombholz, owner of Krombholz Jewelers in Cincinnati. "Now as director he will energize the council, and we are lucky to have such a perfect candidate to advance our mission." Formed in 2017, the council comprises some of the industry’s leading custom jewelers and suppliers, all of whom help to guide MJSA’s efforts in furthering professional excellence and promoting consumer confidence in custom design. (A full list of members is available here.) As director, McFadden will be responsible for channeling the members’ expertise in the development of articles, educational materials, and promotional content. Among his first goals, McFadden will work with MJSA’s editorial director, Shawna Kulpa, to develop articles that will be published in MJSA Custom Jeweler (a special section published quarterly in the Journal) as well as online at MJSA.org. He will also begin developing the content for a web portal devoted specifically to custom design, with information targeted to both consumers and professional jewelers. In addition, he will serve as a "custom ambassador," continuing his educational efforts at industry shows and events, offering his knowledge through jewelry-related social media forums, and generally promoting the craft of custom design. "I Come from an Environment of Sharing"
​When Joel McFadden was 10 years old, growing up in Charleston, South Carolina, he would sit at a spare bench in his grandfather’s jewelry store, building plastic models. "The shop had all of these cool tweezers," he remembers, and they were perfect for picking up intricate pieces. In 1972, when he turned 12, his grandfather presented him with a business check for $85. "It was my first paycheck," McFadden says. "My grandfather handed it to me and said, ’From now on, when you come into the store to hang out, I want you to do repairs.’ My grandfather taught me with paper clips: He’d hand me a clip and say, ’Make me a size 7 ring.’ If I was off, I’d re-do it until I got it right. Paper clips are hard to solder, but it’s a great way to learn." McFadden also had another teacher: the local jeweler’s community. His grandfather’s shop was located in one of the city’s main business districts, on King Street, and several jewelers were clustered within a three-block radius. "All of the jewelers had a specialty—one was a stone setter, one was a gemologist, another did engraving. My grandfather’s store specialized in watches," he says. "And we all helped one another out." On any given day, the young McFadden could be found running from store to store, in the shadows of the cabbage palms that dotted King Street, handing over items that needed a stone set or a band engraved or any of the other services offered within the community. He also stayed to see how the jewelers accomplished those tasks. "I was always fascinated by jewelers doing their work," he says. "They always seemed to be able to create or fabricate what they needed—they were problem solvers." McFadden became known for his intense desire to learn, so much so that jewelers would call his grandfather’s shop when they were ready to perform an especially interesting repair, to see if he wanted to watch. "The community taught me," he says. "I came from an environment of sharing." And those lessons stayed. Although he had some professional forays outside the jewelry industry (most notably as an extra and stunt man in such movies as North and South), he always returned to jewelry—doing trade work throughout the South, eventually opening a retail store in Greenfield, Massachusetts, and constantly learning. Today he owns a custom studio in Red Bank, New Jersey, and has multiple design awards to his name (most recently first place in the 2016 MJSA Online Design Challenge). Undoubtedly, his grandfather would be proud—not just of his business and artistic success, but also of the way he continues those early lessons of sharing his knowledge with others. Those efforts may have started in his own shop—he’s had many apprentices who have gone on to lead successful careers—but they don’t end there. Over the years, he’s also served as a presenter or keynote speaker at various industry events and provided his expertise to trade publications. In the late 2000s, he played a pivotal role in the formation of the "Bench Pressure Challenge" at the Smart Show in Chicago, where bench jewelers competed with one another at various tasks, and attendees learned from watching. More recently, he and Tira Mitchell of Engraver.com are starting "Precision Bench," an online training program. A good portion of his efforts have specifically benefited the MJSA community: He’s brought standing-room-only crowds to MJSA’s signature At the Bench Live demonstrations on stone setting, finishing, and other core skills (right); been a regular contributor to both MJSA Journal and the MJSA Custom Jeweler section; and initiated a "Jewelry 101" program to teach the basics of bench work. Plus, as a member of MJSA’s newly formed Council of Custom Jewelers, he’s helping to guide the association’s initiatives for custom jewelers. One of those initiatives is the development of a Mentor Jeweler program, which recognizes those who share their expertise with others. Not surprisingly, given all of the above, when it came time to name the first MJSA Mentor Jeweler, McFadden’s fellow council members gave him the honor. "Joel is the personification of what it is to be a mentor jeweler," says Lee Krombholz, the owner of Krombholz Jewelers in Cincinnati and the council’s chair. "He is a constant contributor, willing teacher, and active leader to many jewelers and jewelry organizations. The jewelry industry is a better place because of Joel." High praise, indeed—and McFadden is not done yet. Going forward, he’d like to not just pass along the skills those Charleston jewelers taught him years ago ("There’s a massive need for basic technical knowledge that’s trusted," he says), but also help jewelers succeed as businesspeople. "In the 1990s, when I opened my first store [in Greenfield], I was the jewelry guy who became a store owner and could answer the question, ’How do store owners deal with jewelers, and jewelers with store owners?’" he says. "I was alone in a 500-square-foot space—I used to have to lock the door just to grab a sandwich—and within six years I went to 4,000 square feet and 11 jewelers. I learned a lot, and one of my biggest goals right now is teaching jewelers how to run their own businesses." He’ll also continue to espouse the rewards of being a jeweler. "When you’re a jeweler and your day comes to an end, you can hold in your hand what you made and say, ’This is what I did today.’ Whether anyone else likes it or not, it’s a reflection of the person who made it. And teaching people to be jewelers is empowering them to do just that." Spoken like a true mentor. 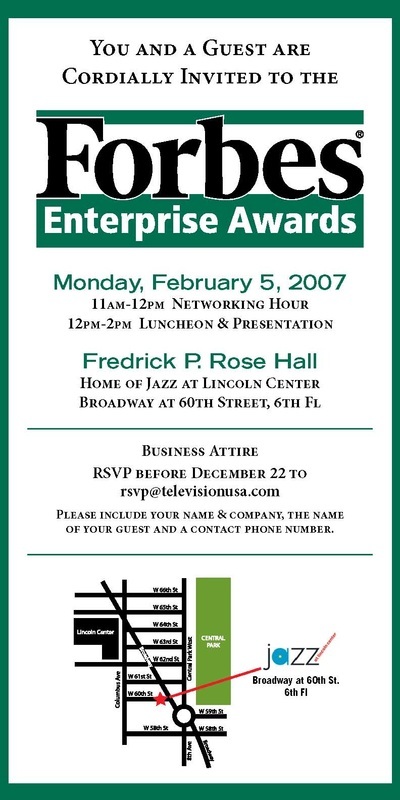 Below are the links to the award events.